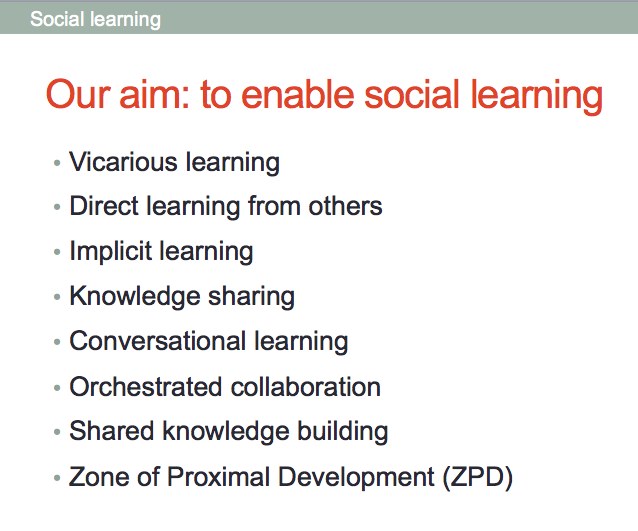 Zone of proximal development (ZPD) – the learner learns through interaction and conversation with a more knowledgeable other. This entry was posted on July 10, 2013, 2:42 pm and is filed under Analytics, Events, FutureLearn, Presentations, Teaching, Workshops. You can follow any responses to this entry through RSS 2.0. You can leave a response, or trackback from your own site.